Dritz Clothing Care is a line of products that will help you give quality care to all your clothing and fabric items. 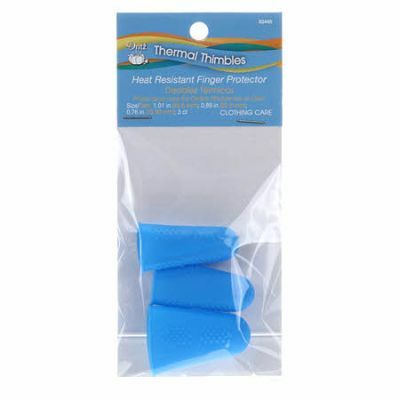 Thermal Thimbles are heat resistant finger protectors designed to fit the index finger or thumb of either hand while ironing. Three sizes included for your best fit. Use caution when using steam. Not intended for use with sharp objects.